Sh. 384 million Lavington houses belonging to Peter and Sue Muraya are set to be auctioned after the two developers failed to settle a multi-million bank loan. The auction notice on the Suraya properties was published on Monday by Garam Auctioneers. It invited potential buyers of the estate to attend a fire sale. According to a report in the Business Daily, buyers were to pay Sh. 48 million for each of the Suraya houses. The paper further reports that the estate sits on a 0.809-acre parcel of land in the wider Lavington Estate in Nairobi and features more than eight town houses. House prices ordinarily go up on completion of construction, which means the town houses are now probably worth much more than they were before completion. This is not the first time that the real estate couple is finding itself in soup. 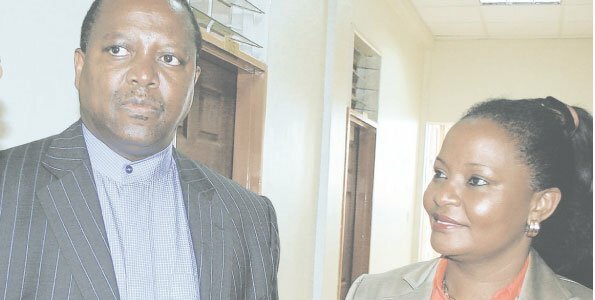 The Business Daily says that in March last year, the Murayas were dragged into a legal battle after a contractor filed a high-profile petition in court seeking to wind up two real estate companies associated with the couple over non-payment of debt. “Eternal Foundation Construction then wanted the Murayas’ two companies, one of which holds a vast real estate property valued at more than Sh. 1 billion, liquidated. Sucasa and Encasa West Limited, the two companies that were at the centre of the liquidation suit, are owned by the Murayas. The dispute joined a series of high-profile real estate disputes to go to court in what was being seen as reflecting the difficulty property developers are facing on the sales front,” says the paper.